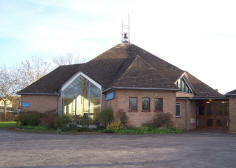 The Parish of Prestbury has two churches: St Mary's and St Nicolas', and two church halls. 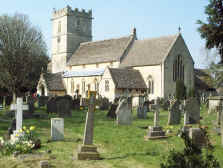 St Mary's in Mill Street, Prestbury village's present church, was started in the 12th century. St Nicolas' was completed in 1970 in response to the needs of the growing population around the Wyman's Brook area. St Mary's has a ring of eight bells in the tower plus a Sanctus bell in a turret, and St Nicolas' has a single bell.